I used to work as the communications manager for the State of Minnesota’s Department of Human Services — for a project that was computerizing the welfare/Medicaid system. My role was to make palatable the change from paper to computer for all social service workers throughout the state: To keep them informed about what the change meant, what was involved, reduce fear, etc. I produced a variety of newsletters, fact sheets, etc. The wellness and spirituality community was nascent in the Twin Cities — just on the cusp of burgeoning in 1992. There were pockets here and there, but it seemed a little “sleepy” or maybe it was just keeping itself low profile. 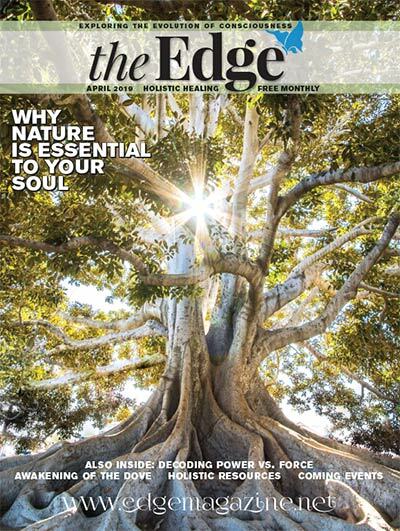 Gary Beckman and I founded The Edge with the thought it would be a metaphysical newspaper that was cutting edge, hence the name. We envisioned bringing spirituality into the mainstream where it wasn’t talked about in hush-hush tones. 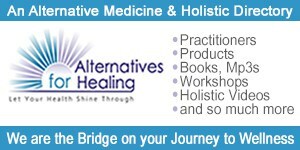 My sister, Dee, owned a holistic store in Stillwater that offered many healing services, metaphysical/spiritual products and classes — and this was my foot into the holistic community. The Edge got its advertising start with many of her vendors and clients. I remember it was early June 1992 and Gary and I sat at The Dock cafe on the St. Croix River in Stillwater with the intent of finding the right name for the publication. We tossed around many names, and finally Gary zeroed in on the right fit: The Edge. From there, we asked Diane James, an astrologist, to chart the most advantageous time for its “birth,” when we would register the company with the State of Minnesota. She did the chart and June 9, 1992, at 3:40 p.m. Central was The Edge’s birthdate. Obviously she was right on, because this has been a long-lived publication that seems to have weathered many ups and downs and has been flexible enough to meet the changing times. WORKING WITH GARY: Gary Beckman was a vendor who sold personal computers to the state for the project I was working on. 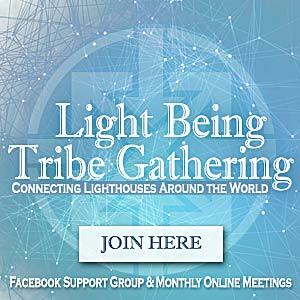 A friend at work introduced us because we shared the same bent toward all things spiritual. As the project wound down after many years, Gary approached me about starting a newspaper on spirituality. He knew this was a dream of mine, as we had talked about “what next” in those days. His work as vendor was ending, as well. He asked me if I wanted to do this with him and I was scared to death. I didn’t get back to him for a month as I processed facing my dream. From then on, it was all systems go. CREATING THE EDGE: The roles as co-founders were clearly divided. Gary was the penultimate salesperson and I was the writer, editor and designer of the publication. We also shared a good amount of marketing savvy, which served us in the early days in getting the newspaper known and established in the community. I was fairly new to PageMaker at that time, but I slapped it out as best I could. I was trained in journalism so writing and editing was my forte. It was exciting to see each issue come out, watch the company expand, and find out we had a loyal audience and advertiser base. Looking back now, I’m aghast that the first issue’s design was so poor, but people still supported us. We ultimately hired a couple of designers — Doug Bronson and Melissa May — who shaped The Edge into a more professional look. I was thrilled with the look and feel of the “new” Edge when Tim Miejan came on board in 1996 as the editor and designer. It was all fabulous — good articles, clean design. LAUNCH OF THE EDGE IN 1992: Obviously there was some backlash with this “new” metaphysical publication, considered by some “the work of the devil.” But my work at the State of Minnesota led me to understand how change affects everyone and how to keep folks informed and educated to assuage fears; this helped me to deal with what was going on. Change is frightening– and also exciting. Gary and I had thick skins as we moved forward into an avant garde area of publication for this area. We were innovators at the time. Pioneers must cut through dense thought and irrational fears to make it through to the other side. We did that. We are both very tough. CONTRIBUTORS WITH IMPACT: We had old-school and new-school writers. Matthew Wood was an old-school herbalist who brought ancient herbal wisdom and knowledge to our audience. He was a popular writer. Dr. Jan Adams was a new-school writer who bridged the gap between natural healing and conventional medicine. She offered the conventional medical community an insight into the efficacies of complementary health, which at that time was called “alternative medicine.” And then we featured the very new school. 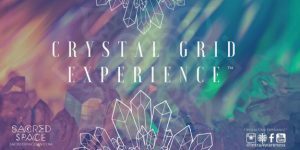 Suzie Black and Michele Mayama were on the cutting edge of experiential spiritual practices, helping our audience to find a way to deepen their access to hidden worlds and depths within themselves. 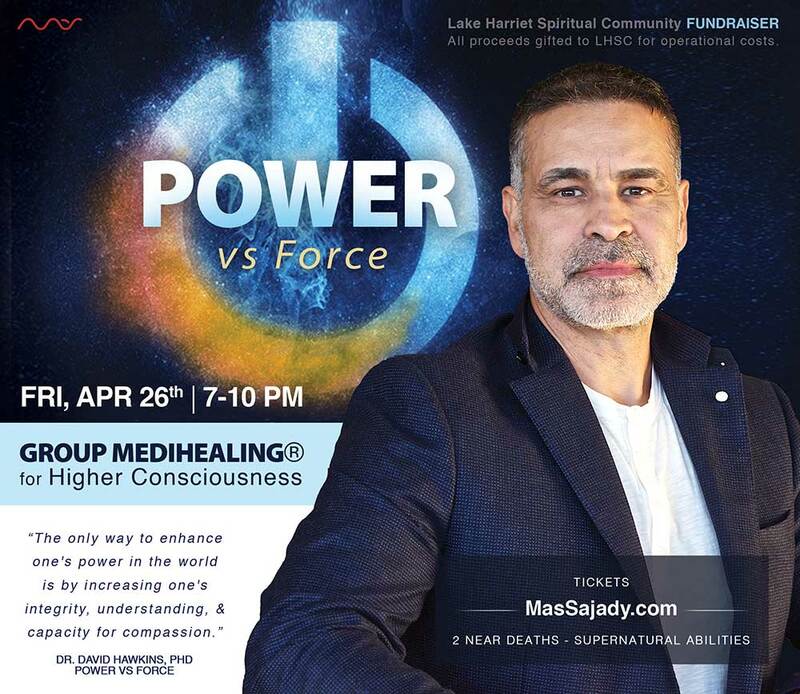 Their very popular lectures and gatherings seeded what is happening in the metaphysical/spiritual community in the Twin Cities today. INTENTION IN CREATING EACH ISSUE: Each issue was theme or topic-based. Each article (except for the monthly columns) was devoted to the topic of the month — always related to some aspect of spirituality or holistic health. These topics were sometimes very new and cutting edge in the Upper Midwest. THOUGHTS ABOUT BIRTHING THE EDGE: The Edge was an expression of what I had studied, experienced and had a passion for since I was a teenager. I believed our society was on the cusp of a spiritual/cultural evolution in consciousness and I wanted to bring those ideas to a wider audience. We can now see we are in the midst of this foreseen change and, as uncomfortable as it is, it was on the horizon for many decades (or more). I do believe I am a change agent in so far as I helped share information and education by publishing many writers and practitioners who were doing the work to assist in the birth of a new consciousness. I love that the current Edge continues with this work. CREATION OF TWIN CITIES WELLNESS, NOW ESSENTIAL WELLNESS: As I evolved in my studies and in my work in the healing and spirituality community in the Twin Cities, I could see we were on the cusp — riding the wave of a huge explosion in the field of natural healing or complementary, alternative medicine. Gary and I had differences about the vision of our newspaper. I wanted to evolve more towards the new healing methods and mega-changes in medicine and publish articles about that. Gary believed we needed to stay focused on metaphysics and spirituality. You can see there was a market for both as our tandem newspapers grew in size from 1995 through the next decade or so. My sister Dee was the quintessential salesperson and shared my passion for marketing, and we were off and running when I left The Edge in forming Twin Cities Wellness, now called Essential Wellness. Thank you, Lynn, for both living and sharing this history with us. Since I moved to Minnesota in the year 2000, I have benefited greatly from both publications, and from my contacts with the people involved. Happy anniversary!